We are offering a wide range of cable arn to our customer. We are counted among the foremost organization of Two Bolt Fixing Type MTC. 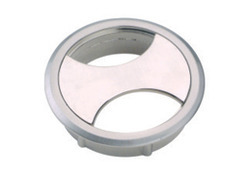 Generally used in industries, these offered products are manufactured. These provided products are durable and requirements very less maintenance. Available in varied specifications, we also offer the facility of modified designing. 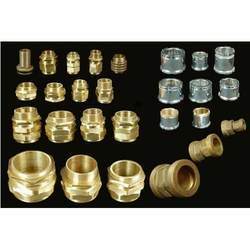 Our realm expertise has enabled us to come up with an outstanding quality of Clad Cable Fittings to the clients. Offered product is delivered in recommended time frame. Owing to our extensive years of industry experience and profound market understanding, we are providing a wide gamut of Plate Lifting Clamp. The offered clamp is manufactured with the help of finest grade metal that is sourced from authentic vendors in the market and ultra-modern machines in compliance with set industry norms. Hinged fittings allow for protection of cables at breakouts, harness serviceability and for the conduit system to self level. They are designed to protect against high pressure washing, excessive cable strain and mechanical abrasion. Variety, flexibility and assembly speed are inherent in all Harnessflex fittings. We are dedicatedly involved in providing an excellent quality array of 3M (M-Seal) Low-Voltage Terminations for catering the various needs of our clients. We are the leading manufacturer and supplier of Copper Cable Reducer. Designed for new or existing cable installations through walls (only) up to 9″ (22.9 cm) thick. Series 22 pathway holds up to 24 CAT 5E cables. We provide a wide range of PCB supports in various specifications. Known for its high conductivity, durability and optimum utility, our range of PCB supports is in high demand by our clients spread across the globe. Moreover, we also meet customized requirement for our clients benefit.